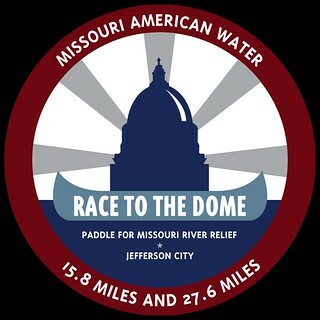 The 7th Annual Race to the Dome, presented by Missouri American Water, is a charity canoe/kayak race on the Missouri River with two race courses set for Saturday, October 8th. The longest course is from Providence to Jefferson City (27.6 miles). The shorter is from Hartsburg to Jefferson City (15.8 miles). This year's race was our biggest yet, with 129 boats with 185 paddlers. All proceeds from the Race directly benefit Missouri River Relief thanks to race organizer, and our 2012 partner of the year, Patrick Lynn, alongside long time River Relief sponsor Missouri American Water. Thank you guys for all of your efforts and support over the years! Two race courses will again be offered this year for either the novice paddler or competetive paddlers training for next year's 340 race. The longest course is from Providence to Jefferson City (27.6 miles). The shorter is from Hartsburg to Jefferson City (15.8 miles). The canoe and kayak event will begin at 9 a.m. at the Perche Creek Access in Providence and the Hartsburg Access. 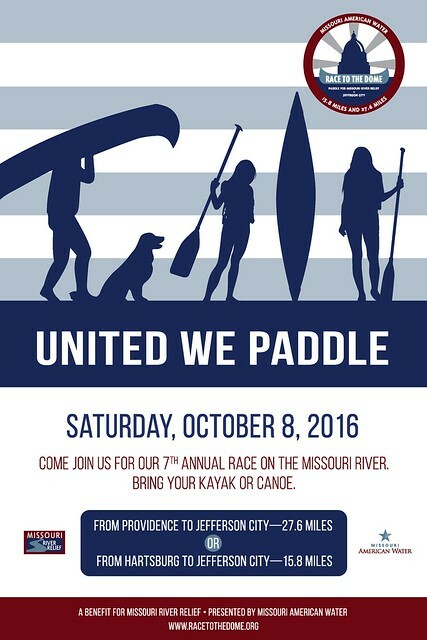 The race route will end at "Wilson's Serenity Point" at the Noren Access in Jefferson City and could take between one and four hours, depending on the amount of experience each paddler has. The race will end at 2 p.m. or whenever the last boat crosses the finish line — whichever is first. If a team is on the river after 2 p.m., they continue independently of the race. Team start times depend on the team's division. The 12 divisions are organized by number of people, canoe or kayak and gender. A great race for young and old, experienced or beginner! 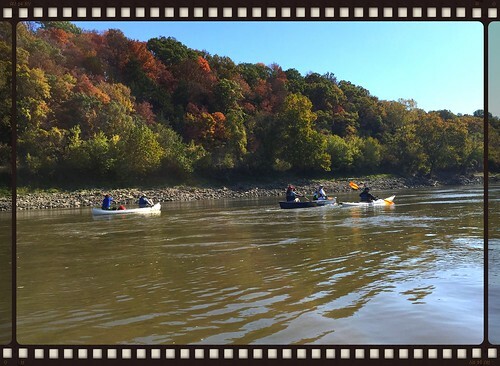 All proceeds from the race benefit Missouri River Relief to support our ongoing education and outreach efforts to connect people to the Missouri River. * Facebook - RSVP and invite your friends!